As a pre-k teacher, I’m always looking for fun kitchen projects to bring into my classroom. Sometimes we follow recipes but other times we build masterpieces with edible items. December is a busy month at school and thanks to Smart & Final, my students have a perfect kitchen craft for the holidays. 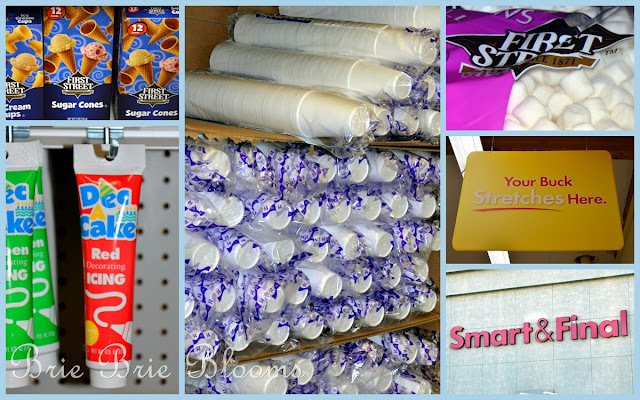 I had a great time shopping at Smart & Final for the project supplies. I was amazed by the low prices! 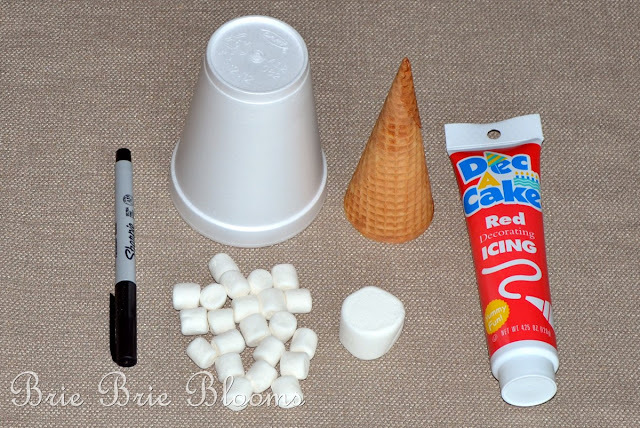 I was able to quickly find everything needed to make 17 sugar cone Santa hats in my classroom. 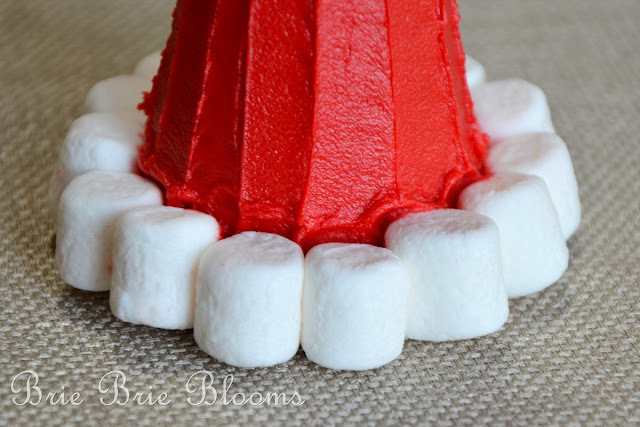 1) Spread red frosting over the entire sugar cone. 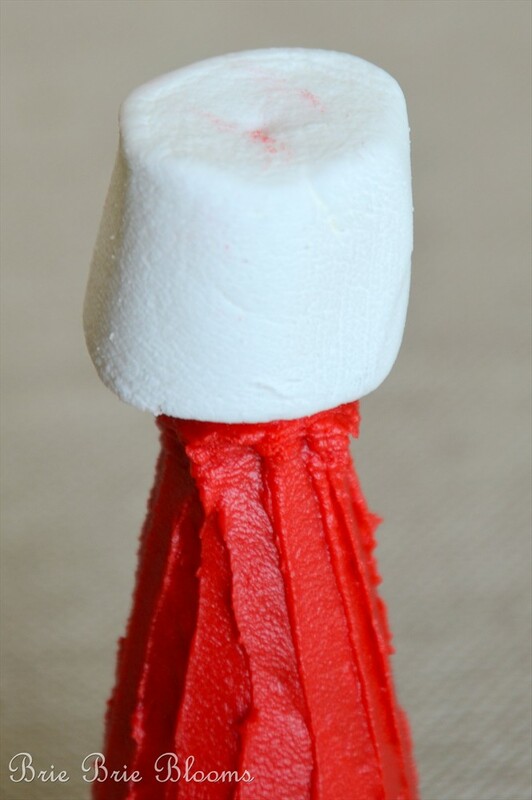 **if working with preschool aged children, use the styrofoam cup as a base to hold up the cone while they frost. 2) Push large marshmallow on top of cone. 3) Line the bottom of the hat with small marshmallows. 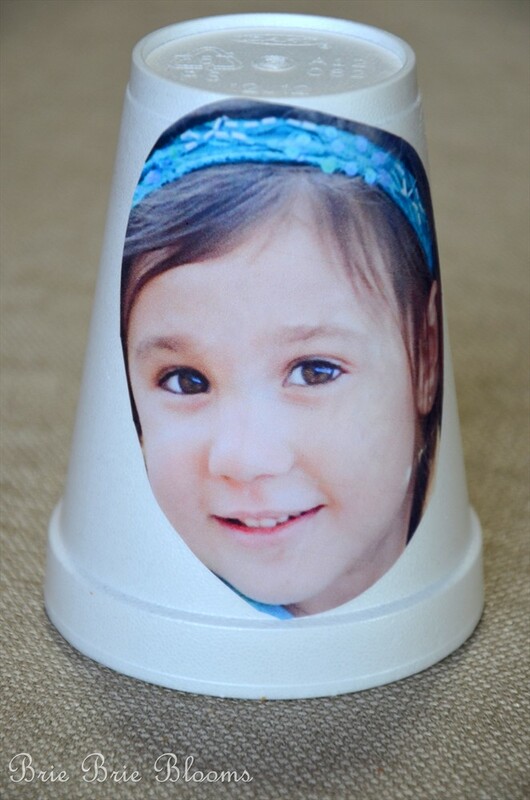 4) To personalize the craft, glue a picture on the styrofoam cup. 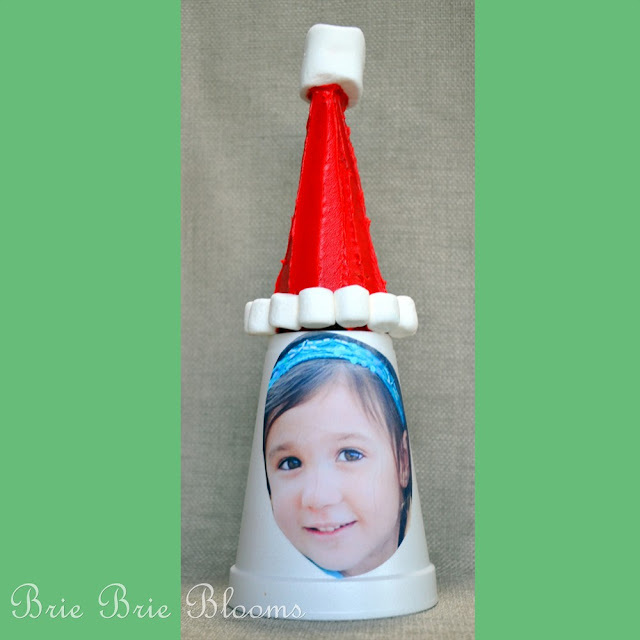 **in a classroom you can have the students draw themselves or Santa on the cup with a marker. 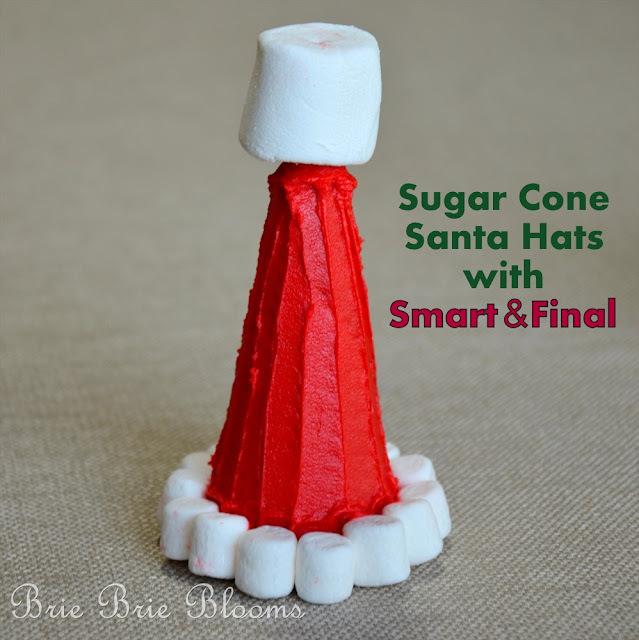 5) Place the completed sugar cone Santa hat on top of the cup to display. My daughter loved making this craft at home with me. I’m excited to share it with my students next week! Connect with Smart and Final in their Social Circular, on Twitter, and on Facebook. These are so darn creative, thank you for sharing! I hope your students enjoy making them! These are so darling – I bet the kiddos will love them!